I have not seen Brooklyn Nine-Nine, but I see posts about it all the time on Tumblr. It looks awesome, but I have not dipped my toe in because the last thing I need is another fandom :). Brooklyn Nine-Nine is one of my favorite currently running shows. It is very hard for me to pick a favorite character because they are all so different and have great things about them. However, I would say Captain Holt (barely) edges it out for me. I can’t wait for the season to return! I know what you mean, depending on the episode my favourite changes all the time. I do love Kevin though and any episode with him is instantly more amazing imo. I think my favourite out of the Nine-Nine is maybe Terry but like you say it’s so hard to choose! It’s a great show. Love the first Pontiac Bandit episode. I had exactly the same reaction to this show as you. 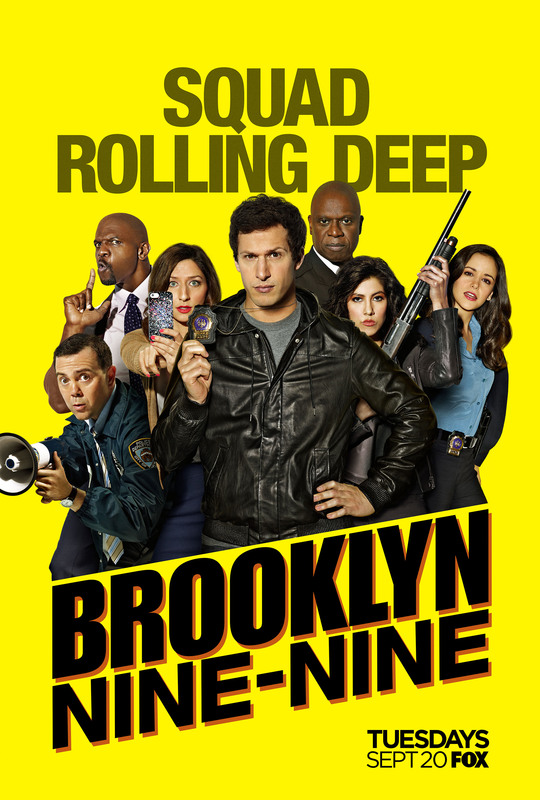 =) I’m bad at watching funny shows, especially American ones, because I rarely found them funny, but Brooklyn Nine-Nine must be one of the only shows I’ve watched where I’ve genuinely laughed out loud while watching it. Most of all I love that it doesn’t need to be mean to be funny, and that’s such a rare thing. I’m glad I’m not the only one who tends not to be a fan of American sit-coms. Like you said B99 puts effort into its characters and humour so it’s generally clever and entertaining. I got into Brooklyn Nine-Nine thanks to Netflix too – I marathoned the first two series in just over a week! Yeah I like how over the series’ you see Jake’s layers and insecurities and how he and all the other characters are still growing as people.